Emmybear - Necessities: Flower Shop again?? Hello, if you saw my last post, you'll recall I woke during the night with an idea for a card. 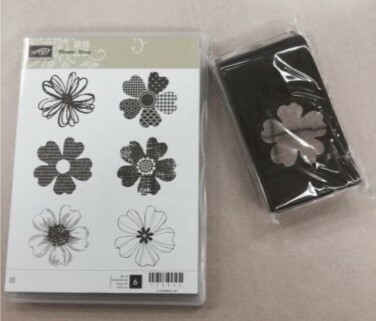 Well once I started, I had ideas flooding in from goodness knows where using the same stamp set! 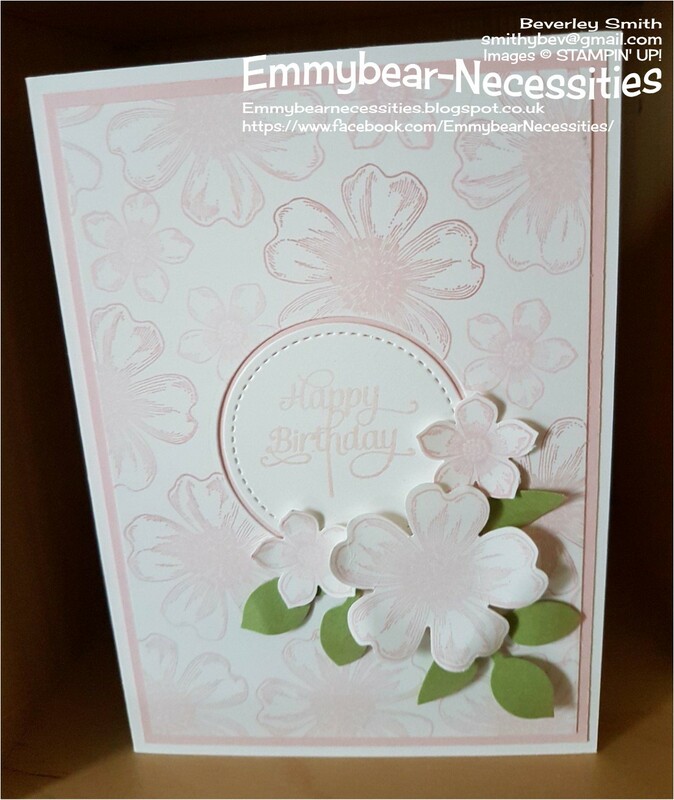 This is the second card, again using soft pink and white. 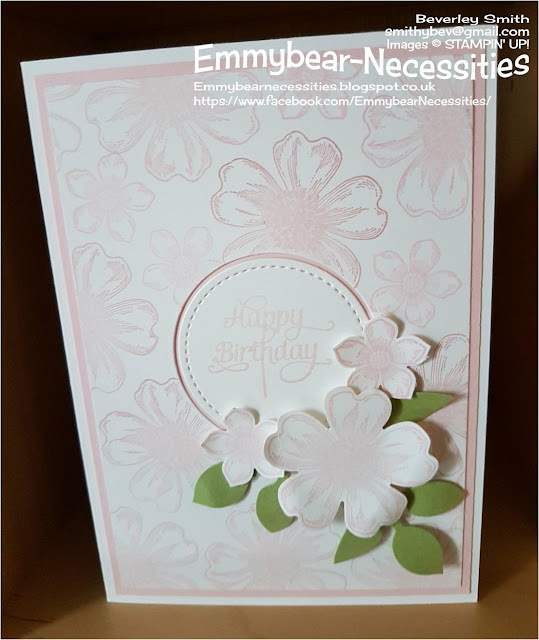 First of all I took my Pink Pirouette inkpad and stamped one of the flowers from Flower Shop over Whisper White card trimmed a little smaller than the card base, leaving the centre clear. I made sure to leave enough space so that I could add small flowers from Petite Petals for a little variation. When creating your own background paper, I think it looks more natural if some of the stamping is off the edge of the card as you can see below. Next I die cut a circle from it before mounting onto a slightly larger piece of Pink Pirouette. 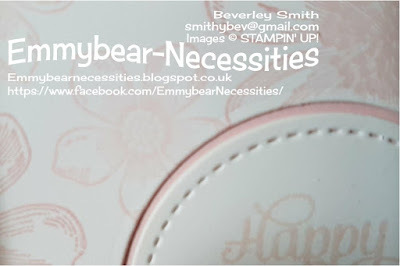 The die cut circle was then die cut again using a slightly smaller Stitched Shape Framelit circle and them stamped with the sentiment. I love that the pink background forms an edge around it to make it pop more. I stamped and punched one larger and two smaller flowers alongside some leaves, arranging them to the lower right of the sentiment. Once again, I stamped inside the card and on the envelope for a cohesive look. Another quick and easy card, I hope you like it. Why do I always leave it to the last minute?